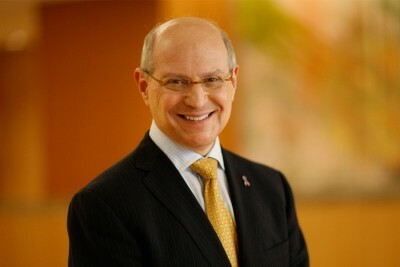 CLIFTON, N.J. – Dr. Larry Norton, Deputy Physician-in-Chief for Breast Cancer Programs and the Medical Director of the Evelyn H. Lauder Breast Center at Memorial Sloan-Kettering Cancer Center, has expressed his continued support for women to begin annual breast cancer screening at age 40. In response to new guidelines published by the American Cancer Society recommending annual mammograms starting at age 45, Dr. Norton — who serves as scientific advisor for the Cure Breast Cancer Foundation (CBCF), a Clifton, N.J. – based not-for-profit 501(c) 3 charity — recently released a statement outlining the many benefits of early testing. “All the groups agree that mammography can reduce a woman’s risk of dying from breast cancer, by about 20 percent. But when it comes to when to start and how often to screen, many experts say there is no one answer that suits all women. Those who want to find tumors when they are as small and as early as possible should screen earlier and more often — provided that they can live with the high likelihood that at some point they will be called back to the clinic for more testing based on a false positive. ”20% is probably a low estimate of the benefit. The benefit may be as high as 48% in women who are actually screened. The use of the word “high” may be a slight overstatement. And most of the cases called back only need one more mammogram view or a sonogram to be told that they have no problem. A small percentage (1-3%) need a needle biopsy to be assured that they do not have cancer, and studies have shown that most such women are grateful for the news and support further breast screening. And “larger and more advanced” means that more aggressive management is often necessary as well as the possibility of a lower chance of cure. Dr. Norton who is leading the fight against breast cancer with groundbreaking work and has discovered that cancer cell mobility and the interactions between the cancer cell and its microscopic environment are the key pathways to understanding and eventually eradicating breast cancer. For more information on the CBCF, please call (973) 471-CBCF (2223) or visit http://www.curebreastcancerfoundation.org.